I have been on the hunt for a new tinted moisturizer for a while. Recently I came across this new product from BareMinerals from Mecca called Complexion Rescue Gel. Firstly, it had to tick the following boxes; No silicone. Oil free. No parabens. No fragrance. Non-comodegenic. hypoallergenic. Dermatologist tested. I know… the list is long hence why it has taken me so long to find a tinted moisturizer that I actually like. I have sensitive skin and recently been suffering hormonal breakouts (more on that in another post) so I wanted something that wasn’t going to flare up my skin. What they have to say about their product… Blending a range of skin loving ingredients together, this weightless skin quenching gel cream glides onto skin with ease. Marine botanicals inject hydration and rejuvenate thirsty skin whilst mineral electrolytes help to energise. Infusing naturally radiant colour onto the face, broad spectrum SPF 30 is included for sun protection and to fight against free radicals. The fact that this claims to inject hydration into your skin (and the fact that it doesn’t have any of those nasties I mentioned earlier) won me over. Mecca offers a sample size of the products, because I can’t tell you how many foundations/skin care I have bought and then discovered I don’t like. So after receiving a little tub of the Complexion Rescue Gel in shade 7 ( I am medium to olive skin tone) I went home and gave it a go. Firstly, this is a light coverage (perfect for me because I hate anything heavy on my skin) if you are like my sister and like heavier coverage this is not the product for you. 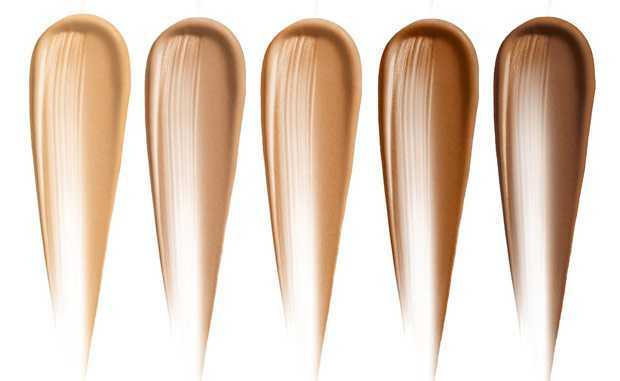 However, it can be a product that you wear under your foundation as a good base or primer. This product went on like a dream, practically melting into my skin. I will point out however that if you have dark blemishes it will do little to cover them but it does even out the skin really well. Secondly, I have an oily t-zone and I did find that after about an hour my t-zone was looking a little shiny but I just blotted and it was fine. Here is what I really loved about it, it did not look or feel ‘cakey’ on my skin and gave it a nice colour. Thirdly, it came off really well – I didn’t feel like there was any makeup on my skin after I removed it. And my skin was left feeling … you guessed it, hydrated! Needless to say I have purchased a bottle. Available in 5 shades for only $38 from Mecca. Click here to purchase.